This blog post was first published on October 13, 2011, and today, on September 23, 2016, I am reposting this article as things have been changed a lot in recent years. I was reading this post the last day, and found that I can add many new things to it, so here is the new updated content. 1 Why do we do Guest Blogging? Why do we do Guest Blogging? To succeed in anything, you must need to know that why do you do that work? I mean you must be clear about the goals and objectives of guest blogging before you start doing it. Until you set the goals that you want to achieve with Guest blogging, it’s tough to succeed. In the past, guest blogging was heavily used for building backlinks in a natural manner. It completely replaced the article marketing. But, later Matt Cutts wrote in one of his blog posts that guest blogging is dead for SEO. Google took this step because a huge number of link builders started to pretend them as bloggers, and then started guest posting on multiple blogs without maintaining the content quality. Therefore, now guest blogging is not being used for SEO primarily. But, it is still relevant and a great way to brand yourself in the industry. You can still get naturally placed backlinks in your guest posts, but make sure they are added as references and not look like a forcefully added link just to manipulate the search engines. When you do guest blogging, you can target the audience of the host blog, get backlinks, get traffic to your site, and if the host blog is a popular one, your brand as a blogger gets stronger as well. If you regularly keep posting quality guest posts on quality blogs, your credibility increases. For example, if you are able to publish your guest posts on websites like Marketingland or some big sites, you will surely be considered as more credible than the authors who post guest posts on smaller sites. The reason is that big sites only accept the guest posts which are of awesome quality, and due to this, you get more popularity when your post gets published on such sites. While doing guest posts on larger sites, you also get connected to bloggers with high authority, and these all increase your credibility. As I said in the 1st point that when you publish your guest post on a blog, you get a chance to interact with that blog’s audience. That means if you publish 2-3 guest blog posts every month on various blogs, you will be able to reach out to more audience. And, eventually, many of those readers can become your blog’s readers as well if they like your quality. This is one of the biggest reasons that even popular authors are involved in guest blogging to reach even larger audience base. When you reach more audience, you get more referral traffic to your blog as well. This is also a big reason bloggers indulge in guest blogging as it sends a good amount of targeted traffic to your site. Here I am talking about the reasons that most of the bloggers have for doing guest posting, but there are many who are increasing the number of customers by guest blogging as well. Yes, during my research, I found an Interview with Leo Widrich(Co-founder of BufferApp) published on searchenginewatch.com where he claims that they have increased their number of customers from 0 to 1,00,000 within first 9 months just by their guest blogging efforts. These are some most important reasons people do guest blogging. In short, a blogger thinks of at least these four things, backlinks, traffic, reach, and credibility while he does guest blogging. But, do you think that just publishing 3-4 guest posts every month is well enough to reach above-mentioned goals? You have to do some planning and make strategies to move ahead with the guest blogging to reach your goals. When you think of guest blogging, the very first thing comes in mind is that on which blogs you should publish your guest posts? Blog selection is crucial because until you publish your guest posts on some excellent sites, you won’t get all the benefits you target. Since you are a blogger, you must already know a number of blogs that accept guest posts. You just need to filter the best ones out of them. Moreover, you can use Google, and try various search queries to find more blogs that accept guest posting. You get a hell lot of blogs on the page one itself; you can move to page 2 of Google to check out even more sites. This way, you can try various search queries with the combination as I tried above, and then prepare a list of blogs. Once you are done with the list, set you requirement such as Domain Authority: 50, Alexa: below 50k, Traffic more than 1000, More than 1000 Indexed pages in Google, etc. These are just for example, you can set requirements that you want, and on the basis of that, sort the list of blogs. In the end, you will have a good list of excellent blogs in your niche that accept guest posts. Most of the newbies always miss to read the guidelines, and this is one of the biggest mistakes in guest blogging. You must read the guest posting guidelines of the blogs which you are going to send emails. Reading the guidelines helps you understand the expectations of the host bloggers, and once you know their expectations, you can write better tempting emails using their contact form or email address (if given) which may impress the host bloggers. For example, you may check WritetoDone’ Guest Posting Guidelines, and you will realize that if someone randomly emails them with guest posting request, he won’t get accepted because the process is written on the guidelines page which he hadn’t read before sending an email. 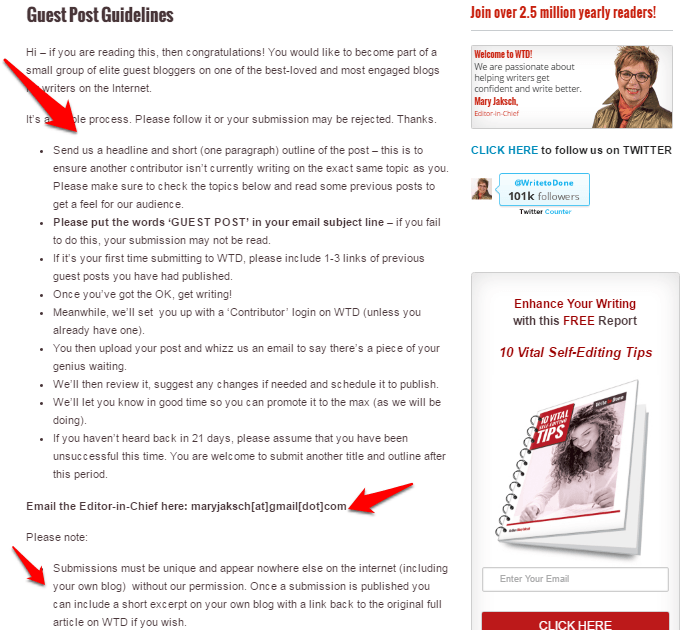 Look at the above screenshot of WritetoDone’s guest posting guidelines page. They even had written the email id there so that you can send an email to the right person. You must write the email for guest posting request in a good manner because if you don’t write a good email, professional bloggers will reject your request. This is just a template; you must need to customize it well and do some editing wherever required. Such emails explain things clearly to the host blogger, and most probably he/she reads your email, and chances are there to get accepted. One Important thing, I would like to recommend you that when you send requests for guest posting via emails, use tools like MailTrack (Works with Gmail) which notifies you when your emails are opened and read by the recipient. This helps you figure out whether the recipient read the email. Once your application gets accepted for the topic you proposed, it’s time for you to create an excellent content that no one can reject. Since it is recommended to do guest post on big blogs for better branding, credibility, and traffic, you must have to match their content quality. While creating the content, the very first thing you should do is to write a tempting headline for the post because when your headline is catchy and attractive, it gets the best CTR on SERPs and even on social media. Second thing, write the content with lots of factual stats and data (if the topic requires). Also, use power words which make your content look more professional and effective. Make sure the post’s introduction is excellent and appealing. It’s important because if your introduction is not good, readers may not read the complete post. You must write in a way that it tempts the readers to read the full blog post. Don’t forget to write Final words or Conclusion at the end of the post. For more tips on writing a killer content, read the post at Quicksprout which lists 9 ingredients of great content. Mi Muba has contributed a blog post about 10 Cs to write unforgettable content which you can read by clicking here. Above all, make sure your content abides the guest posting guidelines of the host blog. Writing great content gives you more benefits as the audience will start to like your content, and you get more readers for your blog as well. I don’t consider myself a great writer but I wrote an excellent guest post on Tesla Themes about optimizing WordPress sites without any SEO plugins, and I got many new readers for my blog and even I got a writing client with high pay. Therefore, whenever you write a guest post, make sure you offer your best content. When your guest post is published on other blogs, you get your author bio there that tells about you, and probably your blog and social profiles are linked there. You must try writing attractive author bio for guest posts which should not look too promotional but still says enough about you and your work. Neil Patel has written a really nice post on HubSpot in which he showed how to write an amazing author bio. You can read that post here. When you create content, you must add all the images, infographics or videos that are needed in the post. Don’t just write an essay type post and send for approval. It may get rejected. Blog posts should have media element to grab readers’ attention, and every host would expect these in the guest post. You should not expect the host blogger to add images and videos. You have to do it, and while sending the doc, do send the media elements in separate attachments as well because host blogger may feel lazy to extract those from the doc. In short, I would say you have to send the complete work so that the host doesn’t need to do much to make your post live. In another case, if you are given access to the host blog to submit your post, you must add everything right in place, and then submit for review. When your guest post is published, your work is not over yet. You should be there to answer to the comments and queries which come on that particular post. If you don’t respond, you won’t succeed well in guest blogging because readers want the author to reply to their queries. Responding to comments and queries also helps you become more credible. For example, Erik has contributed to this blog multiple times, and he is always there to reply to every comment on his guest posts, and that is what I like as a host blogger. Readers too like to read his posts and ask queries because his contents are good and he is always there to respond to queries. This is an excellent way to brand yourself as a good guest blogger and it also helps you succeed in guest blogging. Don’t get carried away with the hype that guest posting is not relevant now. It is still relevant, and you can get all type of benefits you want from it. Just the need is to maintain the quality. 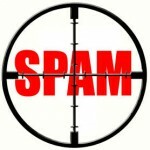 I am sure if you follow the above guidelines, you will surely get succeeded in guest blogging. 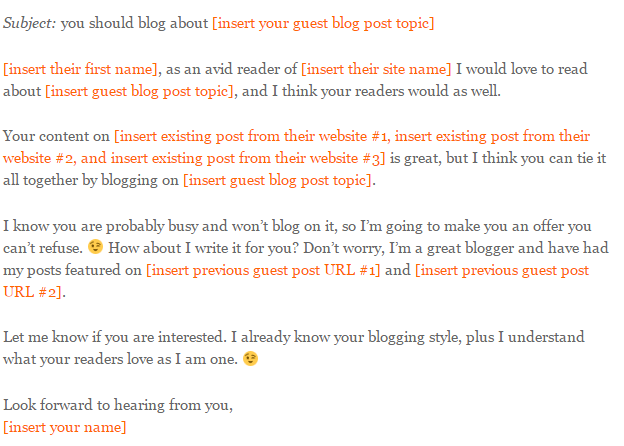 Now, I would like to hear your thoughts on Guest Blogging. If you have got any queries, do ask in comments. Wow , that’s an impressive post Atish . Actually , i often perform guest blogging and i think that these tips will certainly help me in my journey . Well , i believe quality writing and that let me make the most out of guest blogging . Thanks For appreciating Priyangshu. After so many days I thought to write a Post for my Blog. So Here is the today’s work of mine. Yes I have seen your guest post on so many sites except techtricksworld.com. any way If the guest posts don’t give visits then don’t lose heart because they are giving solid and quality links that will work better for you in future. In this post I have mentioned about guest blogging which is done on blogs. Fantastic article about guest posting. I think it’s a very powerful tool that can be a huge traffic and mone maker if used correctly. Thanks Dude. I too think its the best traffic and link building strategy. Yeah , Guest blogging is the greatest way to drive traffic to any type of blog ! nice article guest blogging in high PR site is best way to get backlink and improve traffic also when high PR site send backlink then also your site improve popularity. thanks for sharing informative post..
glad to know that the article is informative for you. I really admire and appreciate your firm and well fabricated thoughts on guest blogging,I do agree with you my dear friend,Guest blogging is the key to get more and more valuable and potential audience for your own blog.The points which i have liked the most from your given points are “Make List of Nice Blogs”,”Write a Killer Post” and “Write The Posts In Points”.It is very important to make a list of those blogs who are of your niche and hold a very good position in SERPS.The second thing which is as much important is the quality of your content,including the depth of matter which you are providing and the way of expressing yourself in an easiest way.And i really appreciate yours idea of writing a post in points,people love to read such kind of posts because they find it more organized and easy to be summarized. Thank you for sharing such a great,valuable,informative and considerable content with us. Hi Samuel, First of I want to thank you from the core of my heart for this awesome and valuable comment. I just love the comments which give value to my post as well as my site. On the other hand, I say guest blogging is the one of the best link building strategy. Thank you for the post. Yes, Guest posting is one of the best ways to increase the traffic, get backlinks and to show certain authority on a particular subject. Adding images to the guest post will make it more interesting for the users..sometimes adds humour as well. Yes You are right Stefan. nice article very helpful with me guest blogging is very helpful to get high page rank back link and also some of organic traffic to that website. such a nice article thanks for sharing. Thanks Hiren for your comment here. Keep visiting. Thanks for this nice post, Atish. I have started to my guest writer journey and soon I will land to techtricksworld. Sure Dude. We need serious bloggers like you to write for Us. Thanks For This. writing a blog post in word document or using embedded wordpress client is never easy. While writing post in word document, we never really know that how your post is really going to look like when it will be published. I will suggest you to enable registration to this blog so that we can use windows live writer or other blogging client to write post. HI Ritesh! For Now we are not open for this kind of stuff. We will plan to do such kind of registration thing in near future then will let you know for sure. Atish, nice points here. Especially the key lies in making it as easier as possible for the host bloggers; as far as it goes with formatting, topic etc. If the host bloggers had to do a lot of work, the chance of acceptance of guest posts is very less. The easier we make it for them the sooner it gets accepted. Of course, quality comes first in any case – Just from my experience of guest blogging! Yes You are Right Jane. If there is less editing work for the admins then they always love to accept the posts from that guest blogger. Quality matters for sure. I agree that writing the post in points could make it look more professional and appealing to the readers. It can also make the post easier to read and understand. Replying to comments is one of the keys in generating traffic. Reaching out to the readers and letting them know a little bit more about a guest blogger could make them want to read more of you and visit your blog. Steve recently posted…What is Anchor Text? Thanks For nice words Steve. Great article and it’s always very important to write interesting and informative post which readers like and enjoy reading, if you can produce that kind of article then certainly you’ll huge traffic from Guest Blog. Author Bio is very essential to tell about your blog and yourself so it need more attention from your side. Yes Aaron, you are right the traffic absolutely depends on quality of content. thanks for you kind words. Nice post Atish. Guest blogging is really useful to build our reputation. Excellent post for guest post beginners, nice sharing and great tips…. Thanks for this post. I never knew how valuable guest blogging was, and your post made me realize that it can be extremely beneficial. Thanks! Very nicely written Atish, I will surely add to my list of guest posts at TechTricks shortly. Great article man!! Really awesome tips. A successful blogger is really lucky because how many way for him for earning!!. Besides ads these ways also there for a blogger. Blogging is really a excellent profession. Thanks for your comment kuldeep. I love blogging and if the situations will be in favor then will soon go for pro blogging. Nice post guys, I learned a lot here. Great website as well. I will be coming back. Thanks William For the comment. Guest posting is a great way to get solid backlinks from other’s blog. in this you need to write for other’s blog and in return the admin of that blog can give you 1-2 links in the post or in the author bio. Excellent article about the very important world of guest blogging. It’s a great way to build your blog up! Thanks Darren for the appreciation. In fact this is the best way to make solid links if we do in a smarter way. I also like Backlinks. But I think that some people are doing so much of them that they simply fluid the internet space. In my opinion, there awesome, but in some decent quantity. Anna@Cosmetic Dentistry recently posted…These are not some temporary veneers! We need to go slow in building backlinks. You actually give great points here about guest blogging. It is true that this is one of the most effective way in building links to other blogs. that was really interesting article buddy. you must be spending a lot of time to write such articles.. Thanks. As a blogger I am committed to share articles with my readers so that they can enjoy visiting TechTricksWorld. Thanks Atish, That was relay great post about gust blog.Guest blogging is really useful to build our reputation. Thanks Dude. Yes only the guest post can help you to show your online presence. Guest Blogging is best way to get backlinks for your site and that too from Quality sites rather than crap sites, Bdw, I want to write a guest post for this blog. Let me know on what topics you want me to write.. Thanks for your comment Ankit. You may write about SEO or blogging and any tech related topic on this blog. I am submitting a Guest Post about anchor text.. Will be sending you post in a few mins.. Yes Got It I will review this. Posting on blogs that’s relevant to your site and higher in page rank is the best and you are sure to get positive traffic. Leaving a comment that’s knowledgeable will gain yourself more respect from visitors and will get you more quality links which is what you want. You made some great points about blogging Atish and I thank you for that. This information is priceless but very effective. Thanks for your nice words Lee. I’m actually working hard on guest posting, I have one going up on ProBlogger tomorrow. I like your tips, I have a list, and some default author bios and emails for guest posting, I try and perfect them as I go. Jamie Northrup @ Web Consultant recently posted…Getting Paid to Blog is Great, But Recognition is Even Better! Thats great. all the best dude. Good points Atish. I especially like your point about responding to comments and trying to promote the guest post on stumbleupon and other social media sites. The more you give back the more writing opportunities you will get. Thanks Tim. yes replying to comments increase the reader’s interest in your blog and this becomes a conversation which will benefit yourself as well as your readers. because conversation and discussions always give something new to learn. Thanks for your kind words Mike. Aside from generating traffic to my site, I am hoping to build a relationship with other bloggers. I learned that I will be introduced to a brand new market as well which is interesting. Providing a killer post is really important and I hope other blog directories would find my contents impressive. I really want to try this. “Making relationship with other bloggers” i the best line you said because building relationship with other bloggers gives us much more to learn. Traffic will be coming naturally when folks start liking you writing style, your way of interaction with your reader and all. Good points . I especially like your point about responding to comments and trying to promote the guest post on stumbleupon and other social media sites. The more you give back the more writing opportunities you will get. It can also make the post easier to read and understand. Replying to comments is one of the keys in generating traffic. Guest blogging is really useful to build our reputation. Yes guest blogging build our reputation in blogosphere. Awesome article! I think a lot of people know the value of guest blogging (and it’s increasingly popular) but aren’t quite sure how to get started. Replying to comments is key, as well, and I think a lot of people forget that. Yes A lot of guys don’t reply to comments. But they need to reply to comments so that their readers can get nice discussion environment. Great tips Atish, I’ve recently started blogging on other blogs and I really enjoy it. I agree replying to comments is critical and I think you should aim to write a post that is really going to exceed expectations. you won’t make a name for yourself writing good posts but if you are lucky and consistent you might make a name for yourself consistently writing posts and really stand out. Where do i find guest bloggers? I could use some real estate guest bloggers on my site to keep the content fresh. No matter how much i dedicate myself to posting a new blog entry daily… it just doesnt happen. I don’t think you need to search for guest bloggers. Guest bloggers themselves contact blog owner to post their articles. Just make a page on your site named as “Write For Us” then you might get few nice guest bloggers. I’ve found great guest bloggers on a firm providing blogging services. But you can also post an ad looking for guest bloggers incase the “Write for Us” page in your site didn’t work. if we post some articles on others wall can we expect it saqme from the one.is it good for a new blog? Please clear out question. I didn’t get you. I can answer better if the question will be more clear. That is what I am doing, I got good niche but it’s all still on paper since I had this fear of inadequacy but I know I can get over this thing. Anyway thank you for this wonderful tips you just gave. This is a very informative post for me. Create a write for us page on your site and i think you will get guest bloggers automatically if your site is well enough. You can also check out a website like MyBlogGuest.com, it’s free and you can find guest bloggers for your website. Thanks Jamie for answering here. Thanks for your comment Hunter. Great post I hope to have great sucess with my website. Great information here. Will surely implement these tactics to enhance my Guest Blogging Efforts. Do you accept Guest Bloggers to your Blog ? If so how does it work ? Yes I do accept guest posts for my blog. you just need to send the html format of your guest post via contact form with you author’s bio. Great post Atish.Basically the point of blog is very charm full to the viewer,its also helps our journey. The Dedicated Broker recently posted…Hello world! Much appreciated for the information and share!! Continue to keep up the great post..
Great friend, your tips gratitude stand in good stead. hopefully I can success .. Thanks for these tips. I was looking to Start Guest Posting. I think you’re right. But, how about google indexing? Is it very important for blogger? Google Indexing is the most important. If you will keep on doing white hat SEO then Google will keep crawling and indexing your site. but as soon as you start using black hat SEO tricks then it might be possible to get spammed by Google so please try to do Good. Nice tips. I’ve never done guest posting my entire life because I don’t really know if I can write a good article. And before I know it, my idea just got stolen by another good blogger. Oh, don’t think if you can write good or not. Just write what you think . it will be an awesome article. Thanks for the encouragement. It’ll took me a day just to write a good article. i would like to thank you for this Post. I`m a new Blogger and thankful for Tips about Blogging, SEO, Traffic, PR, Google and …. all the others. I search for good Content and Links. But its not easy for me to find Sites with good Tips. Thanks for your kind words Maxi. Great one Atish! Will definitely use this tips. Thanks! I’ve started to submit guest post lately, hope it’ll bring good results to my blog. Guest post is always better strategy than just barely exchanging links. Thanks for this informative article. Peter@Computer How To Guide recently posted…Can Kindle Fire Take on the iPad? Guest blogging is the best way to build links. 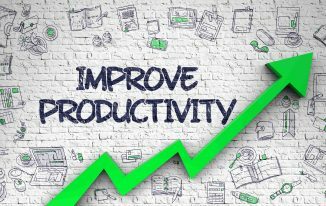 I think it’s a very powerful tool that can be a huge traffic and mone maker if used correctly.Thanks for sharing this amazing article!I can use this it really help..
That’s really the best way to succeed in blogging, to guest post so that you’ll be recognize by readers..
Really a great thing you posted this! Although a lot of bloggers are still hesitant to do some guesting, but it’s just a matter of time before they realize that they need to! Guest blogging is the best strategy now. I agree with you that the writer has to reply to comments if there were any, it will improve recognition and helping the blog owner in some way. I agree with you that after guest posting, the job is not yet done. Guest bloggers need to reply to comments if there were any. This will not only improve recognition but will help the blog owner in some way as well. Nice tips here ! Yes thats what I have written in the post. thanks for your comment. Hi Atish, I’m always amazed by some bloggers who fail to make a great and amazing Bio. This is the minimum one should do when guest blogging. A Bio is so important so people can find you and engage with you. It’s already hard enough to find traffic, not doing a good bio is a big mistake. You are absolutely right Bbrian. Your bio reflects your whole image so you need to be very careful while writing your bio for guest blogging. Atish I’m so serious about the bio I even added a how to set up your Bio on my guest blog page so members do it. If they don’t’ I don’t’ even approve the article. You are doing good so that next time they will send you the post along with their bio. It is a very catchy topic.I was really interested to know how people get success through guest blogging.Your post really helps many bloggers. Thanks Pete for the comment. I’m always amazed by some bloggers who fail to make a great and amazing Bio. This is the minimum one should do when guest blogging. A Bio is so important so people can find you and engage with you. Yes Bio is the most important thing while you are doing guest blogging. This is the most important post as per me.really good information guest blogging is the best way to increase the traffic of our post as well as providing info through other sites and blogs. junaid @ Technology Blog recently posted…Dell XPS 17 3D specifications and price in India. Thanks dude for the comment. I am happy that you liked it. hmm.. You are a Webmaster in this Topic . Thanks for Sharing ! Great points, Atish! But your guest posting will be succesful onlyy if the blog/site where you publish your artices or posts has a good number of visitor. Unfortunately, with the increase of guest posting popularity the number of junk sites that offer publishing your articles also has increased. So, if you start to write guest posts, you should carefully pick them up. Yes You are absolutely right. thanks for the tip. Thanks Kuldeep for your kind words. Excellent post.Guest posting is really great way to build links and get real traffic.Thanks for your great tips. Thanks for the post Atish. I couldn’t agree more. This is so far the best tip that I’ve read about guest blogging. You made it simple yet very informative for a newbie blogger like me. It took me 3 returns just to comment as I couldn’t say anything but awesome! Many thanks for giving such very important tips. I will keep it in mind. Guest blogging is really one of the best technique for quality tarffic building. Awesome post, Atish. I do believe that a good author bio is your best tool when it comes to guest posting. Of course your post itself must be great so that people will read all the way down to the author bio. You have obviously got that right – well done! Thanks Ana For your comment here. Bio must be good because It reflects the author’s character and quality. I agree with Ana, Author bio has a great impact. It tells other about you. Wherever you do a guest post your author bio will be letting others know about you. Nice post Atish. I would like to say that guest blog posting is a highly effective link building technique. When, for example, I select blogs for guest posting I usually try to select topic related blogs, which provide do follow links for a website and can generate high ammounts of targeted users. So, links obtained via guest blog posting provide a lot of traffic to my website and SEO improvement. Yes You can get Traffic + solid links by doing guest blogging. Hello Atish. I think one has to write your author bio to suit the specific blogs profile. That way you can cash in on being relevant to the blog. This, of course, works if you have an author account on the specific WordPress blog. I have a friend that has raised the level one bar higher. Instead of only adding the above points, he adds a video as well and it gives him sort of an edge. Thats really great buddy. thanks for the info. Thanks katherin for your kind words and nice descriptive comment. Its always time consuming but for better exposure you need to reply comments on your post whether it is on your blog or a guest post of your on other blog. Thanks for the tips! I will change my author bio right now! Mary Ann Pierce recently posted…iPhone 5 aanbieding online! Many thanks for giving such very important tips. Guest blogging is really one of the best technique for quality tarffic building. Ranjan bro_ this tips is really best. Thanks for your informative tips. It’s really helpful for all bloggers. LOL I didn’t know the author bio is that significant, i was just thinking about the content. Great post. I’m inspired by this article, that I’ve started guest posting on many other blogs. Suraj @Smartfatblogger recently posted…HOW TO: Install Easy Mashable Social Bar Plugin For Blogger? Thanks for the article dude. Guest blogging is really a very helpful way to publicize your blog and gain backlinks. Love the tip on writing a great bio; that’s something I need to work on. I’ve noticed that some of the most successful bloggers and online marketers are geniuses at making the smallest things in their bio sound amazing. I guess they just have a way with words or have figured out how to ‘big themselves up.’ Also like how you mentioned creating a list of target blogs to reach out to as that’s another crucial thing; approaching blogs that are in line with your target audience. Yes Victoria, Writing a great bio can help you getting exposure infront of the blog readers and even clients. Thanks for your nice words. Thanks Ahsan for your comment. Wonderful article. I have recently started my guest post writing career. I learned lots of good points from this post. Thanks for this information. Hope so soon I will write posts for this site also. Your article for guest posting really having lots of information. Since guest posting is the one of the best method of link building, so one has to create really quality content for the website. Thanks a ton for sharing. I learned that guest posting is definitely on of the best way to increase your traffic and PR. It’s also suggested that the article you submit for guest posting should be great. 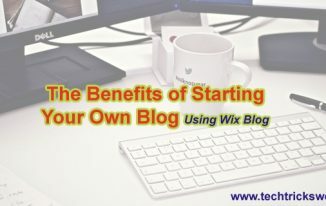 This is a great post on how to some guest blogging, it’s great to do this is you don’t want to start a blog of your own. Blogs take time to manage, so guest posting can do a lot of the heavy lifting if you post on popular revelvant blogs to your niche. Your article for guest posting really having lots of information. Since guest posting is the one of the best method of link building, Thanks for sharing. It’s really amazing post… Guest posting is very good way of blogging that helps to establish your brand and authority as you open yourself up to new readers and conversations. If you want to write killer post then you need to know your community firs and after that you need to write post according to your community’s demands and needs. i want to start guest posting but dont know how to start with, does every blog allow guest posting? Thats great. Do start guest blogging. I think almost all the blogs now days accepting guest bloggers. By the way you may find a guest post page on the blogs which accepts guest blogging. You can also contact them via their contact for to getto know about guest blogging on that blog. very nice article,,,,,,,I never knew how valuable guest blogging was, and your post made me realize that it can be extremely beneficial. GREAT! As of now, I wrote more than 10 guest posts and I would like to continue doing guest blogging as it has countless benefits. Will have these tips always in mind while writing the guest posts. Thanks Nirmala for stopping by on the oldest post. Brilliant Post for me, Actually i wanna be success in blogging because i am going to start blogging so i don’t know more about it. i am bit worried about the blogging. which you have shared with us, really these tips are very helpful for me and sure i will follow of these tips. Thanks Atish for sharing this post. Oh did you start blogging John? The post is really awesome….as we are in post panda and post penguin era the guest posting has become the one of the best off site SEO tactics for sure…..Via guest posting on quality blogs we can achieve tremendous success in very short span….but we shouldn’t use it vaguely rather we need to use it wisely….. Yes if you do guest posting in a good manner then its very good but now a day I notice that everyone is just hungry for backlinks and they don’t participate in brand building or networking with others. When you do guest post then you should follow up to the comments and give replies etc. Thanks for stopping by Aditya. I started my blogging journey some months ago and since then I have being thinking of how to get exposure, network and build quality back links. In my quest for this I searched for topics on this on the net and got lots of information. But i never see the perfect one that will guide me to start guest blogging until I stumble upon your blog today. This post has really helped me and I will be starting my guest blogging this week. Thanks very much for sharing. Thank you so much Oladayo. Keep up the good work and keep coming to TTW! Nice concept but in guest blogging we need to share revenue with guests.Can you tell more about this? Dear Azad, It is not mandatory to share your revenue with any of the guest. Rather I would say that if you do so, there will be more probability of hacking or blocking your adsense account. Because, I am using multisite concept, I might be knowing very well about guest and host concepts. So, you can believe me. Exactly, No need to share the revenue but yes if you want to then you can. 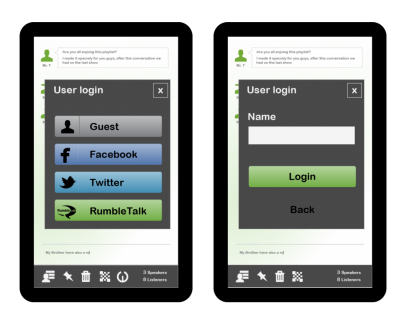 Atish Ranjan recently posted…Android vs iPhone: What’s the Difference? All the points you have said are clear and Guest blogging also builds good relationship with other bloggers . It also brings targeted visitors for blog. Thanks Lalith for stopping by. Yes guest blogging is the best way to bring traffic, ranking and branding yourself. Guest Blogging is no doubt the best option to bring traffic to a newly created blog. Thanks for the tips. These tips will surely help me in writing guest posts. Thanks. Hello Siraj, Guest blogging is great to build relationships, build good readership. these are good to build up traffic. Thanks for leaving your comment here. Thanks for stopping by Sid. keep coming. Its really an useful info. I offered guest post in one of my blog but then I need to stop it as the quality of article which I started to get was not upto my expectation. People write articles just to get some quality links but fail to realize that the other website get spoiled of such things. You have made everything clear and it will help many. Esther Michael recently posted…How to Make Money using Facebook Fan Page and Ads? Guest blogging trend had gone, and not working any more because of heavily paid services and spun contents. I used to accept guest posts once, but now no longer accept guest posts. You are somehow right. it worked best before but the resources which is used too much stops working well. Yes! I have stopped accepting guest posting request since long. I am also doing the same. One of my Hosting related blog completely spoiled because of Guest posts. Google penalized that site in a way that it no longer gets a single traffic from google, though it gets some traffic from Bing. yea guest posting is now spoiling the blog. Well, the moment from which this PR update came in our blogging lives, the GUEST POSTING became active once again. According to me guest posting will work wonders for you especially for newbies if they really want to plunge into this. Thanks for this share Atish. yea you are right. when PR was not being updated bloggers are less active in guest blogging but now again every blogger will start Guest blogging. Correct! I agree with you. Thanks you stopped by Shaily. Well Guest blogging is always been a great tactics to share knowledge and experiences. It’s impressive post but know a days is not working so much as do in previous days. It’s a nice way to build a back links. Thanks fro sharing your suggestions with us . Yes you are right. Guest blogging is dead for SEO. By the way this post was written years ago. Things have been changed. Keep coming. Your post is really help us a lot to learn something informative about Guest posting but i think these days Google may be punishment those sites, who post to much Guest posting on their sites, so these days many website owners are disable Guest posting on their blogs. Yes, this post was written year ago. Now Google is not giving so much importance to guest blogging especially when done for link bulding. Thanks Kaos for your comment. Nice post. You have a logical comment and i agree with the rest that guest blogging is a long gone story! How about some good tips on places to find blogs that match your niche? I will think about it. Thanks! The tips that you have shared here is very valuable and thank you so much for sharing these tips moreover for sure this is the perfect tips. I am going to follow them. Blogging is a great way to exchange the knowledge and information. Thanks for this nice post. I started my blog some weeks now, I wanted to implement the guest blogging technique on it. I frequently used to publish guest post on few popular blogs like shoutmeloud. Also let me know if you do accept guest post on your blog, I would love to contribute one on your blog. Very Nice article for newbie guest bloggers including me. I am just starting with guest blogging and these point will help me a lot. Choosing a blog for guest blogging is very crucial process as per my journey till now. Hello..You have a nice blog.Can i be a guest blogger here.Am a start up..trying to get traffic for my blog. Hi Atish, Thanks for sharing this useful information about guest blogging. I really got information which i was looking for years. But i have some questions. 1. How to write amazing author bio? please give reference. 2. How can I hire content writers online in low price? 1. Added the reference link in the article itself. 2. For hiring content writers, you can make use of Facebook groups. There are tons of FB groups where if you write your requirement you will get many writers PMing you with their samples. Screen them, and choose as per your need. You have nicely explained the anatomy of guest blogging with the help of your magical guidelines about guest blogging, bloggers can make relationships with different pro bloggers and increase their blog traffic nicely and effectively. It is infact an excellent way of branding a blog. Every day i get number of requests of different contributors but i simply ignore all of these because their main aim is to get dofollow backlink in reward. At the early stage, I have accepted a lot of guest post with low qualities too, and faced a lot of problems. But, now I closed it and kept it on invite basis to choose bloggers of my choice to publish a post on my blog. It is indeed a joy to be here in your republished blog post. In fact, I really missed it in the beginning, Nice that I found it today. Yes, as Mairaj said these days I am getting a lot of enquiries from fellow bloggers, asking, do you accept guest posts, as you said I am also very choosy in this factor these days. Thanks a lot for sharing these guidelines through this informative post. 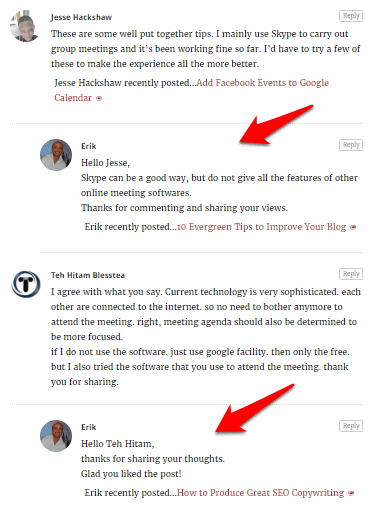 Philip Verghese Ariel recently posted…How To Get More Comments On Your Blog Posts? Guest posting is good but since we need to maintain the quality we should care about it while accepting on our blog and even when we do on other blogs. Guest Blogging is my favorite part. And things that you have shared in this post are all relevant. This is going to be helpful to the bloggers. Robin Khokhar recently posted…How to get Cheap Web Hosting at Godaddy? Guest blogging is really essential when we talk about backlinks and branding. I always look for the opportunity to do guest post on different blog. It also helps to build community around your blog. You have discussed all the steps to get success in blogging through guest post. Another good piece is added to TTW’s content list. Thank you for coming by and leaving your comment. 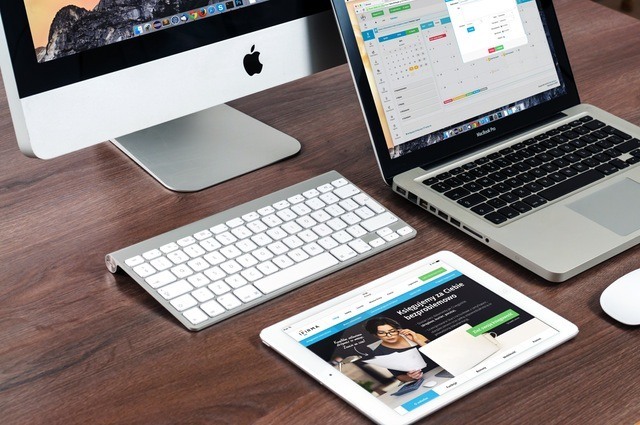 Yes, guest blogging is still relevant and can offer many benefits. Have a great day, and enjoy the weekend. Hello Atish! My My over 200 comments! I can certainly see why! So Curious? Did you make changes from the original post in 2011? You did one awesome job with this post, it is sure to help a lot of bloggers get success through guest blogging. Yes, I wrote this post in 2011, and it did get over 200 comments already. I thought to add updated info in content, so I updated it. yes, I updated in the existing content only. I am happy that you liked it. This is a thorough, yet concise guide to guest posting. You’ve also given some of the great benefits for doing so. I’ve had clients tell me they don’t guest post because it’s too much work writing for others, when they have to write so much for themselves. I haven’t done much of it myself, largely for that reason. I do encourage my clients to guest post, though, because it helps them build authority. I’m inspired by your post to start doing more of myself, too (take my own advice, haha) because, even though I’m not so concerned about building authority at this stage of my growth, but I always welcome new audiences and readers. So, I’ll bookmark this helpful guide and start implementing the things you’ve suggested. Thanks Atish, it’s always a pleasure to visit your blog. I am glad that you thoroughly enjoyed the post. This is was the post I wrote in 2011, and after 5 years, I have repurposed it with better insights, facts, and information. I can understand your client’s concern that it is too much work in guest blogging. But, it is all worth if you got your post published on good blogs. Guest posting is great to be in touch with fellow bloggers and the best benefit is you meet a whole new audience every time you publish a guest post. I have gotten your blog from ‘The Huffington Post’ site. But after entering your site I become surprised because all blog posts are really resourceful. However, I have read this blog post that will hep me to do blogging very carefully. Great tips Atish on how to get success through guest blogging! Thanks for coming by George. I believe guest blogging is still a valuable way to build authority. People should consider it for building connections, not just for creating backlinks. Awesome guide, will share it right now. Thank you so much for coming by. Thanks for the share. Well I must say its been really long time since I’ve done any guest blogging. I guess I have missed so many benefits. 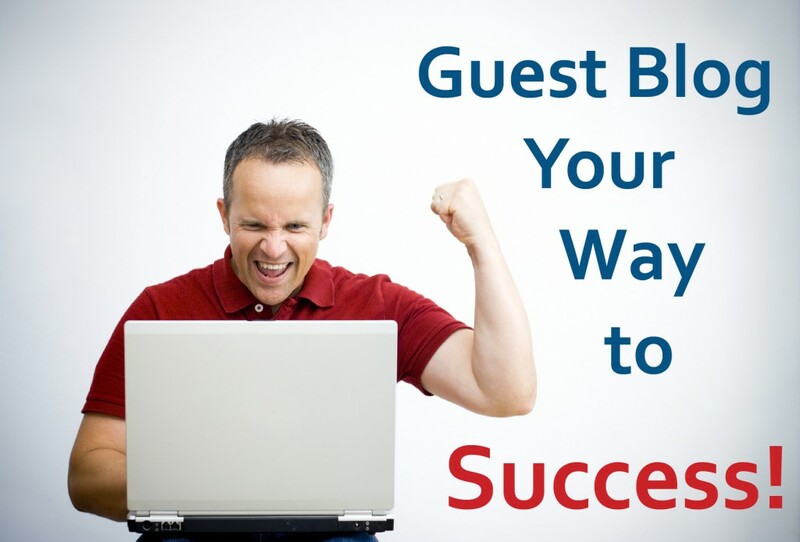 You have shared really great post about guest blogging, will surely follow your tips. Actually the guest posting will enable us to getting bond with the visitors. By placing the blog it will attract the visitors with the interesting and fresh topics we are providing. You gave a bunch of good tips about SEO and guest blogging. It’s very helpful to me. Thanks a much. It’s good to see that you practice what you preach. You are giving replies to the comments as you suggested to your readers to do. It shows your seriousness and dedication And not to mention, it’s a great post. Wow what a great post you have posted about guest posting. And i will surely follow this. Fantastic post about the guest posting. Guest posting is very useful to initiate a healthy backlinks and also create a high repoted bio for writers. I really inspired through reading your post and thanks for such a informative post. Thanks for sharing this Atish! This would help me a lot when doing guest posts. I already published a lot of guest posts from different sites, but I’m still wondering why other webmasters rejected my title proposals and sometimes ignored my emails though I always include links to my sample writings and give a unique title suggestion. Are there any tips you can give how I can improve it? Or any better ways to write emails when reaching out for webmasters? Thanks a lot! As I said in the post, that you must read their guidelines first before emailing them. Get to know first whether they are accepting guest post. I have clearly written that we are closed for guest posts, and still we got 3-4 emails everyday for guest post request, and thus we have to ignore because people are not reading what we wrote on contact us page. This is why, always know whether the blogger you are reaching out is accepting guest posts, and also check his guidelines. Use Mailtrack.io as I suggested in the post which will help you know if those bloggers read your email or not. If you find they don’t even read, then you can try emailing them as follow up. If google doesn’t provide any SEO value for guest posting, then can you please let me know which is the best way to get backlinks? I have just started a blog, where I provide reviews for products, I have seen the command that you showed in your post for finding opportunities for guest posting. So will I be able to find my niche blog for guest posting if I type: reviews “guest post” on google ? Google does give value to the links that are added naturally. No matter you get from guest post or any other way. 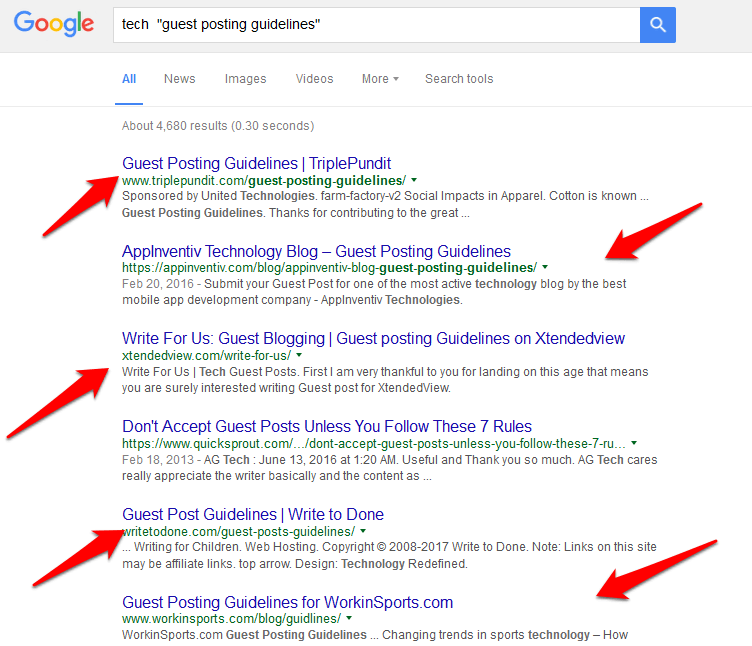 The Google’s rule applies for those who do guest posting without having quality in the mind. I saw many link builders have been doing it by posting 200-300 words articles, and plastered a lot of links in the post. If you want to get benefits, you can try out sharing killer guest posts on good sites, and get links naturally. They will work. And, yes the search queries I mentioned in the post will work well if you use it wisely. I would say mention your product category there to find more specific blogs. If your guest post content adds value to the host blog and the web, then links will surely have some good value. I Agree ,When your guest post is published, your work is not over yet. You should be there to answer to the comments and queries which come on that particular post. I would say Wow!!! The way you explained about the topic was pretty much impressive. I always like to read your articles and helped out a lot. Please keep writing. Thanks for sharing this motivative and informative post. Very nice post Atish. Guest blogging is surely great. But as you said everyone started guest blogging now. So does it count as a important SEO factor now? Some solid tips in there, Atish. Here’s my question – a lot of webmasters are asking for money in the $50-60 range per guest article. How do I go about it? thanks. If you are going for paid posts, make sure you do use a natural anchor text. Don’t use a rich anchor text. 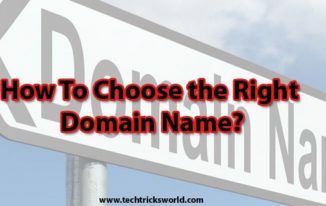 Second thing, if the blog has some really good stats like High DA, PA, good domain linking, huge traffic, investing $60 for a permanent link is a good idea. Nice article on guest blogging, sounds perfect concept with clear cut strategy, very useful info I personally recommend to all newbie Bloggers. Awesome Post!!! Thank you for this post. By the way I am also from sitamarhi and I am also a blogger and I in search of backlinks I have newly created backlinks plz help me to get backlinks. Thank you for sharing such an excellent post regarding guest posting. This article will help the one’s who are new to guest posting and are looking to get quality backlinks through guest posting. Guest post is a good way to get backlinks but you should not do only do for getting links but when you write a guest post, make sure you add a lot of value to the post and the blog on which it is going to be published. if the content is good, your link in that post will have good value as well. Awesome article! I think a lot of people know the value of guest blogging but aren’t quite sure how to get started. Replying to comments is key, as well, and I think a lot of people forget that. Seriously, I hated guest blogging. I was saying: How can I give out my hard written article of maybe 1000 words. I had to get rid of that mentality and I wrote my first guest and second guest post. Guest Blogging will give you natural backlinks. But, thinking of the amount of time we need to spend for it, is it worth trying out? I have tried out Guest Blogging only once. But, haven’t got any big results or a big number of audience. Nothing results good when you do only once. You have to try out for a good period of time. Not only links but you grow your network as well. When you think of guest posting, try contacting good and big blogs. Link from those will help greatly.